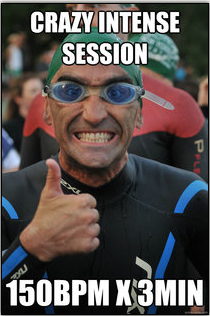 Our Tri-club coaches gave us homework the other day. It involved doing some pretty complicated math. No, no, wake up! It won’t be boring, I promise! Our homework was to calculate our target heart rate zones, based on our age. See? Heart rate zones. Age. Exciting stuff. In all seriousness, in the 20 years I’ve been running from the cops, I’ve paid very little attention to my so-called vitals. Heart beating? Yes. Lungs breathing? Yes. Good enough; carry on. But the smart folks — those who’ve been training with a heart rate monitor — will tell you that how fast your heart beats during a workout has a lot to do with the type of benefits you get from it. 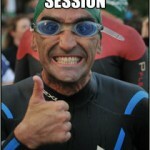 Lower heart rate? You’re building up your aerobic base. Higher heart rate? Now you’re building endurance. Highest? You’re increasing your speed and your body’s ability to handle high-intensity workouts. So what are the numbers behind this? This is where the math comes in. Start by subtract your age from 220. Zone 3: Builds high-end work capacity. And there you have it, ink on paper words on a blog, and it all seems oh so scientific. But then I decided to put those numbers to the test, i.e. 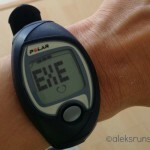 take one for the team and work very, very hard at finding my old Polar HRM in the garage. Oh yeah, I have one of those. The cheapest you could find back in 2007. I wore it two times exactly, then forgot all about it. Test #1: a two-mile warm-up run on Tuesday. I ran a 8:30 pace, which is somewhat difficult for me. That is, I could go faster and hold on for two miles, or hold that pace for at least another two — but possibly after that someone would need to go look for my tongue out there on the track. Heart rate: in the high 160s, at times exceeding 168. During squats, lunges and other strength work, my heart rate ranged between 111 and the low 140s — only getting this high towards the end of squatting or lunging sessions (1-2 min each). Test #2: easy seven-mile run yesterday. Heart rate: jumped up to 160s for the first mile or so, then settled down to the low 150s and stayed there the whole time. This was supposed to be a recovery run, but to lower my HR to the 120-139 range, I would’ve had to simply walk. And then the watch stopped displaying my heart rate and seems to not be reading it at all. So as far as my experiments go, I guess that was that. My very unscientific conclusion: I have read that endurance athletes have lower than average resting heart rates (mine is around 67-70 – so just about normal) and keep a lower heart rate during long, endurance work. If that is, indeed, the case, then I am a freak of nature: an endurance-athlete wannabe whose heart beats a tad too fast, but who wouldn’t give up, regardless. 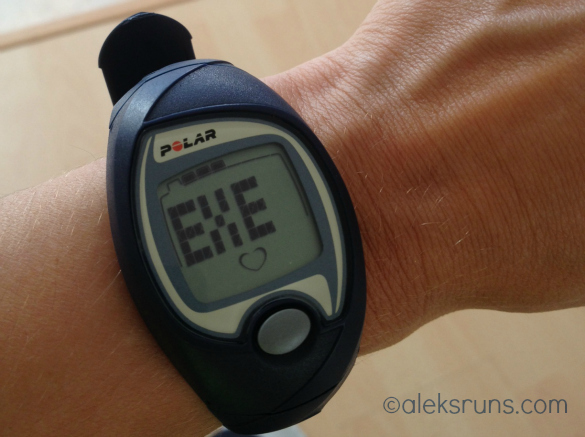 Your turn: do you use a heart rate monitor? 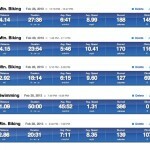 What do you know about heart rate zones and recommended averages? Any advice? 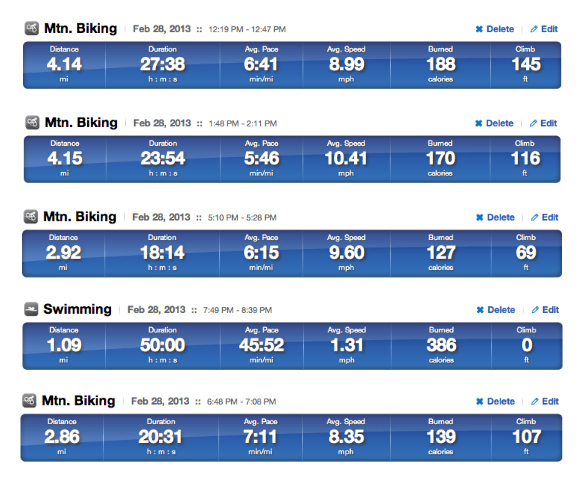 Today’s workouts: Used my bike to go anywhere I needed to go today because I knew I wouldn’t have time to run. But sneaked in some pool action at the end of the day. Should do this more often! Copyright © 2019 Train with Purpose. Race with Heart. Powered by WordPress. Theme: Accelerate by ThemeGrill.